Home Social Issues If You're Bullied or Ostracized, Is it Your Own Fault? When they're not at school or at their part-time jobs, a group of four white teenagers — Jillian, Cate, Timothy, and Samantha — spend most of their free time together. But one day, Jillian, Cate, and Timothy stop talking to Samantha. They cut contact with her completely. It's obvious to others outside the group that they are displeased with her, but the reason for their actions is anyone's guess. The four teenagers, again, are all Caucasian. Their non-group peers, looking in, believe that Samantha deserved the ostracism she received. They think she must have done something bad or wrong to receive such treatment. They sympathize with Jillian, Cate, and Timothy, without having any knowledge of the group's reasons for shunning Samantha. Some of them even join in. They start calling her names on social media and spreading rumours about her behind her back. Now take the same group of four. But instead, Samantha is Asian Canadian, while the other three are Caucasian. This time, the non-group members, looking in, assume that Samantha was ostracized by her friends because of her racial difference. They believe that the three teens are in the wrong and feel sorry for Samantha. They invite her to social events and go out of their way to be especially kind. Perhaps surprisingly, this is often how we behave when someone amongst us is ostracized, bullied, or rejected. Without knowing the reasons for the rejection, people tend to side with the "rejecters" or the "rejectees" based on perceptions and appraisals that happen at a largely unconscious level. Sadly, most of our perceptions and appraisals also happen at the superficial level. They are not deep perceptions or informed appraisals. Since ostracism happens frequently in a variety of ways and to varying degrees to people of all ages and from all walks of life, understanding when and why others support or even join in the ostracism and bullying behaviour is incredibly important. Before discussing recent research about what we think when we observe someone getting rejected or ostracized, it will be illuminating to first examine the word "ostracism". The dictionary says that ostracism means "Exclusion from a society or group." And ostracism comes from the Greek ostrakismos, from ostrakizein "to ostracize," from ostrakon "tile, potsherd," according to the Online Etymology Dictionary. In ancient Athens, citizens would gather together and write on ostrakons, or potsherds, the names of the individuals they wanted "ostracized", or banished, from the city. Unpopular, meddlesome, or threatening citizens were removed from the city in this way — sometimes temporarily, sometimes permanently. While banishment could be a way to protect others from wrongdoing and harm, one can imagine that this practice was sometimes used for spiteful, vindictive, or otherwise unscrupulous purposes. So, the use of the word "ostracism" has changed from the physical removal of an individual to the social and behavioural rejection of one. Sometimes social ostracism can be so unrelenting and so painful that the individual "removes" themselves, in the form of social isolation or even suicide. Ostracism is a child ignored or bullied by their peers, a homeless person overlooked in the streets, and a family member repeatedly not invited to family events because they have different beliefs — to echo examples given here. on how similar the members of a group are to each other. 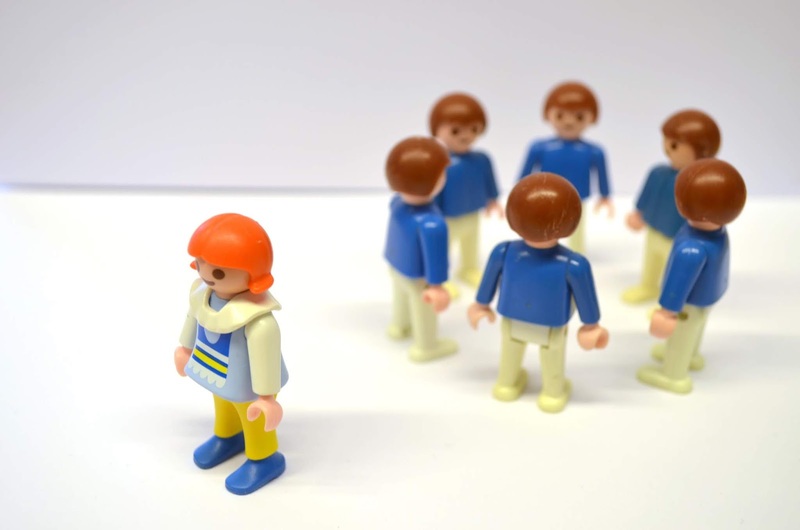 A series of five experiments conducted by a research team from the University of Basel looked at "how observers of ostracism interpret and react to situations of social ostracism." 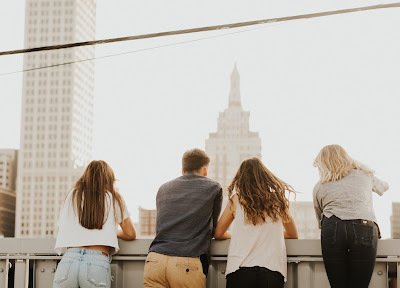 Everyone forms judgments regarding the motivation behind ostracizing behaviour, and these judgments impact the way we respond — if we stand up in support of the individual being ostracized, or if we join in the ostracizing, bullying, rejecting behaviour. When an individual observes someone being ostracized, they either side with the one doing the rejecting (the rejecter) or the one being rejected (the rejectee). The ostracism is judged to be appropriate or inappropriate, moral or immoral. The University of Basel researchers, in what they call the social dissimilarity rule, state that when the rejectee is dissimilar or different to the rejecters in a visible or obvious way (different skin colour, hairstyle, ability level, etc. ), observers usually attribute the ostracism to malicious intent. In other words, they side with the rejectee. But when the rejectee is similar to the rejecters in a visible or obvious way, observers usually blame the rejectee for the ostracism. In other words, they side with the rejecters, believing that the rejectee must have deserved the rejection. If, for example, the observers think that the person being rejected "is a troublemaker, then excluding him or her may be perceived as a fair punishment," the researchers said. "In this case, ostracism represents an apparently justified sanction" or penalty for the rejectee's supposed transgression, "with the aim to restore harmony in the group, strengthen the group norm, and discourage the troublemaker and/or other members from deviating from the norm as well." The problem here is that our judgments in these scenarios are rarely based on truth or factual evidence. We base our snap judgments on superficial cues and stereotypes that we can easily glean from visual information (like hairstyle, attractiveness, perceived race, etc. ), and we can unknowingly contribute to the suffering of those who do not deserve rejection or devaluation. While basing our judgment of ostracizing behaviours on "easily observable cues allows for quick processing," said the researchers, these cues rarely constitute valid information. In the researchers' words, earlier studies of a similar nature "more or less explicitly implied that observers of ostracism unconditionally tend to empathize with the targets and 'feel their pain'." The University of Basel research, however, "indicates that observers instead consider whether ostracism represents a norm violation or a rightful punishment and make a moral judgment based on the available cues of the situation." The researchers suggest that, whenever possible, we should seek more information before making a judgment in situations where we notice someone being rejected or ostracized. We should avoid jumping to conclusions, but seek the whole story instead. Those who have to deal with these matters professionally or as mediators — like teachers, counsellors, HR employees, and so on — "should ideally be trained in carefully questioning the entire story behind an ostracism episode, in order to reduce the possibility that their judgment becomes distorted by stereotypes about ostracism situations and ostracizers." Bully not! And give each other the benefit of the doubt.